Geoblink is the Saas-based Location Intelligence solution that enables professionals from the retail, FMCG and real estate industries to take informed decisions about their business strategies. 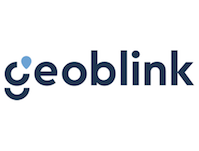 With its easy-to-use and visual interface, Geoblink’s advanced data capabilities and predictive technology empower companies of any size to perform in-depth market research and gain strategic insights in a matter of minutes. This competitive business intelligence is what helps these professionals to maximise the efficiency of their store networks, make accurate sales forecasts as well as optimise their distribution, marketing and expansion strategies.